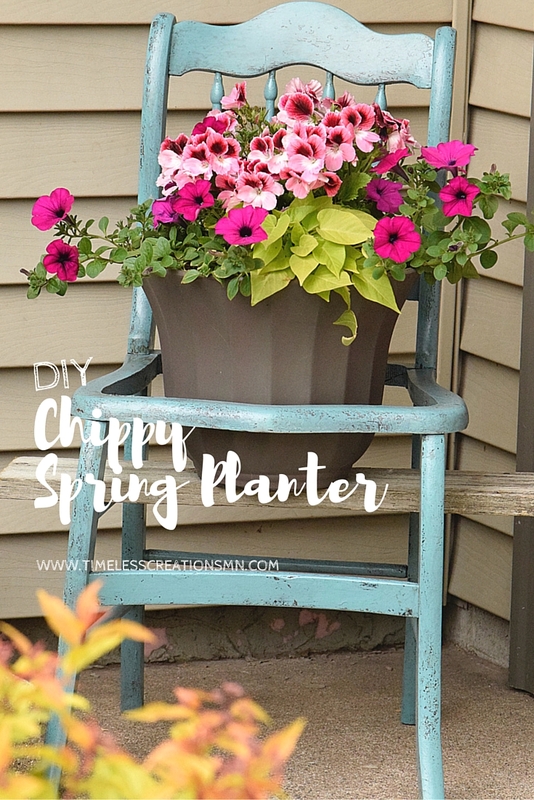 A DIY Chippy Chair Planter for spring! 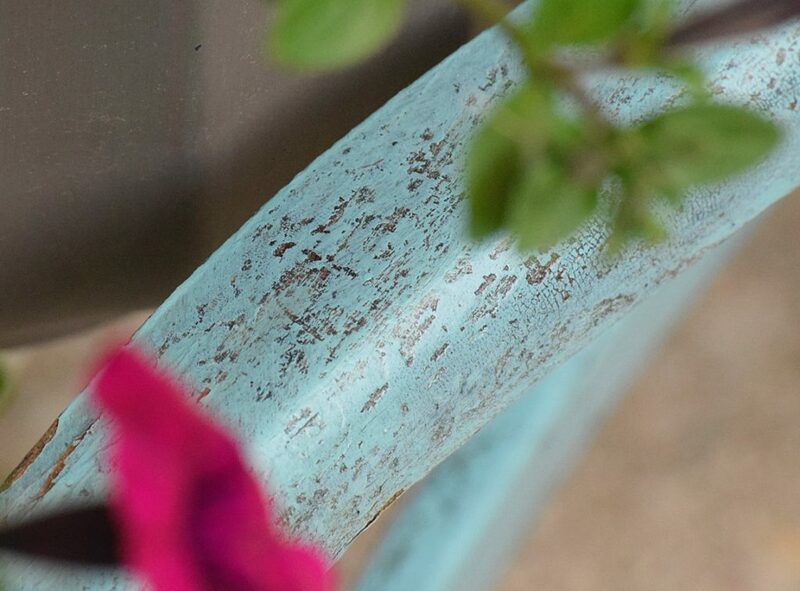 I have seen the idea of different items being used in the garden as planters before; from bikes, old iron gates, to chairs you can use just about anything you can find around the house. 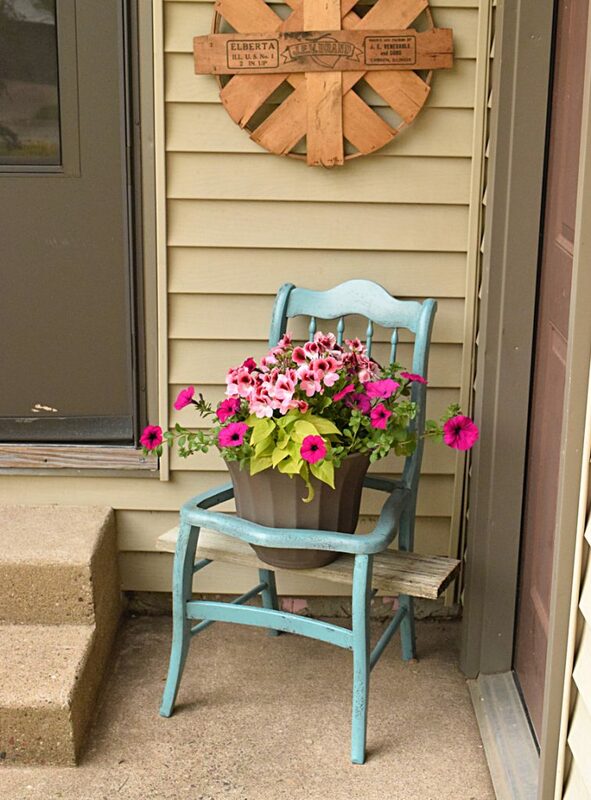 Old rusty items bring great character, but for my front door I wanted a bunch of lively colors to brighten the area. 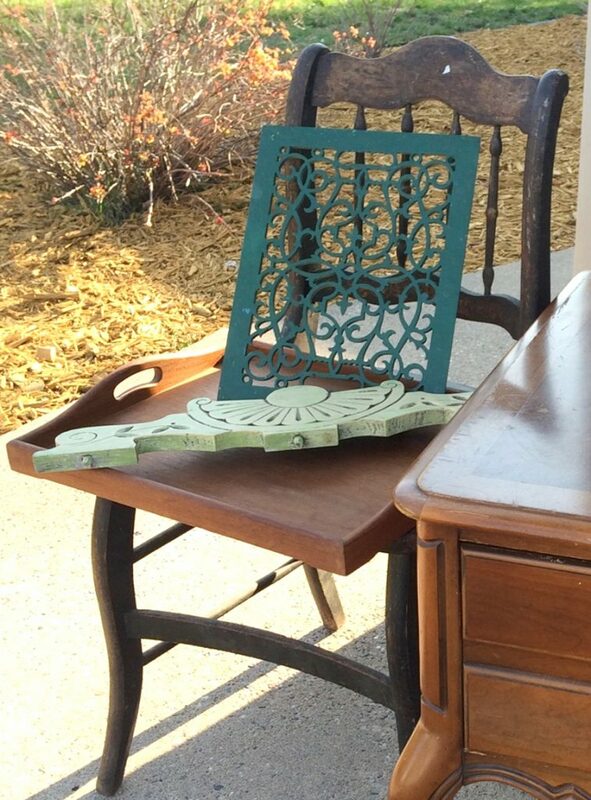 When I found a tiny chair with no seat at a garage sale (and it was only two dollars) I knew I had hit the jackpot! For your convenience in locating products we have used, this article contains affiliate links, All products are items we use ourselves and genuinely recommend. If you make a purchase after clicking an affiliate link, we will earn a small commission at no additional cost to you. For our full disclosure go to our “Disclosures” page. The finish on this chair was really rough and beginning to chip off, but I didn’t like the dull black color and gold gilding on it. That just wasn’t the style I wanted for my front stoop. 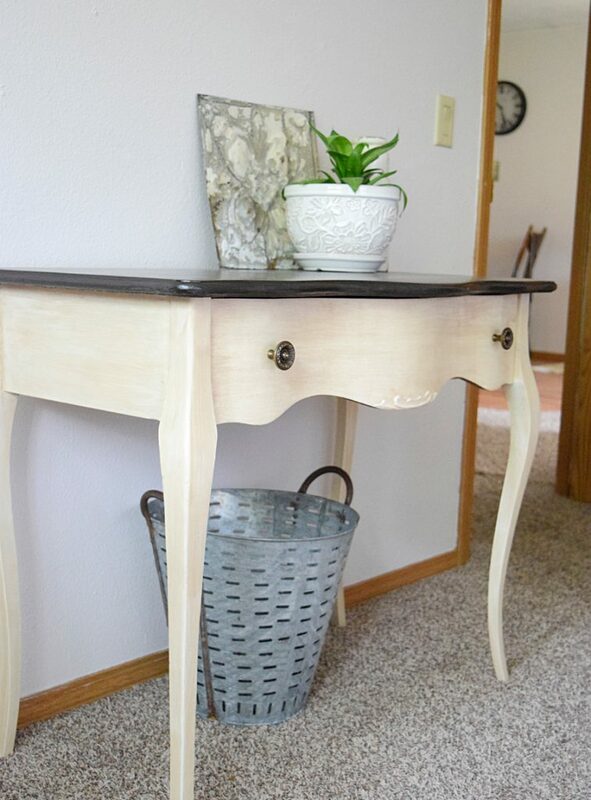 I decided to use a medium grit sanding block to sand down the finish a bit, but other than that I didn’t do much fixing because I liked the rough, deconstructed look of the chair. 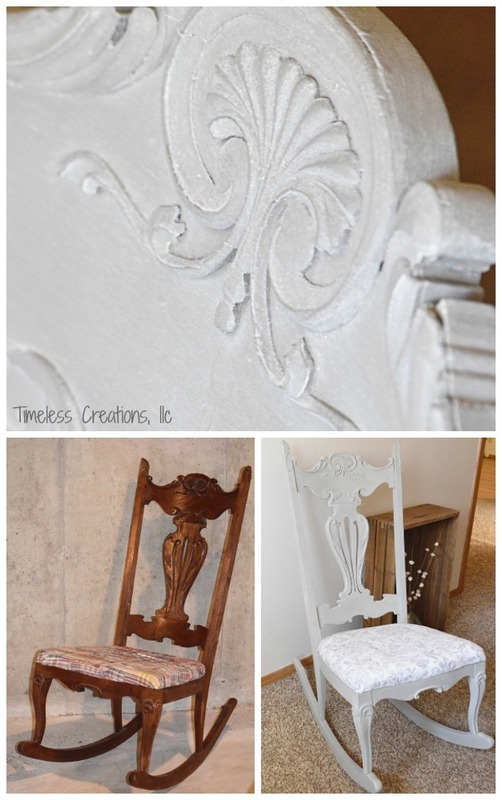 The restyle of this chair was so quick and easy anyone can make this happen for their own garden or front porch. Also, it took such a minimal amount of paint, it’s not even funny! 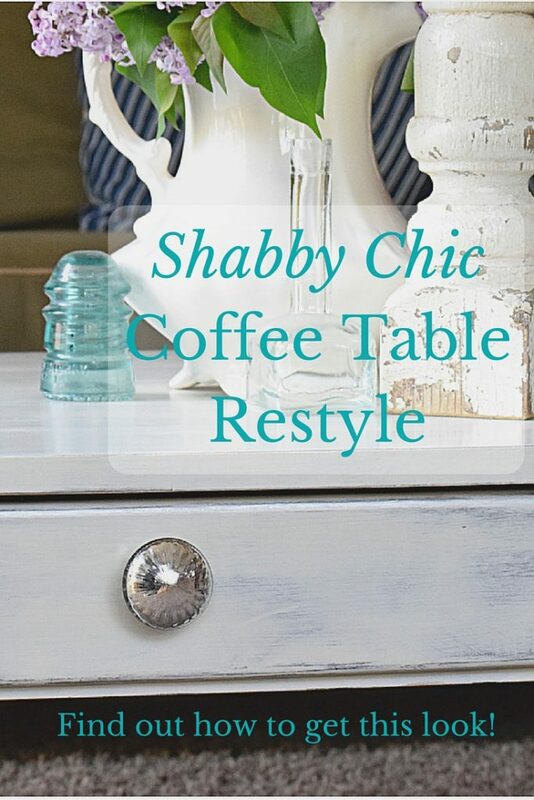 I actually purchased this chalk paint in a small bottle for this piece. 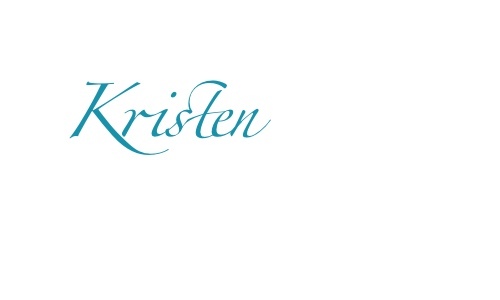 The color is called ‘Agave’ and is a beautiful teal-ish/aqua hue, which is one of my favorites. All that was needed was one coat of that chalk paint and instead of covering every square inch, since this chair had a texture to it already, I ended up putting a bit of paint on the brush and half dry-brushed it on. That sounds confusing…but what I did was instead of taking all of the paint off like the dry-brushed technique, I kept a little bit on and used that to brush all around, leaving some of the black showing. 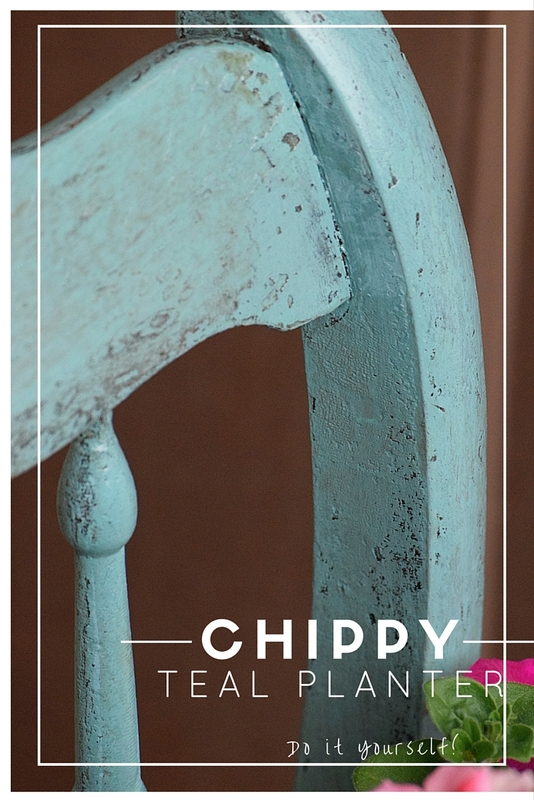 By using that texture the chair already had it gave it the perfect chippy look! After the paint was dried, I grabbed some painters tape I had on hand to lay it down on parts of the chair I felt needed some more chippy parts. It took the paint off in some spots but others it didn’t work as well, but I was very happy with the end result anyway! Then all that was needed was a good sealer. I brushed on 4 coats of polycrylic to the entire chair so it would protect the wood from water. You can use a clear polyurethane as well, which is supposed to be used for outside, but I just used the polycrylic, which is holding up well so far. 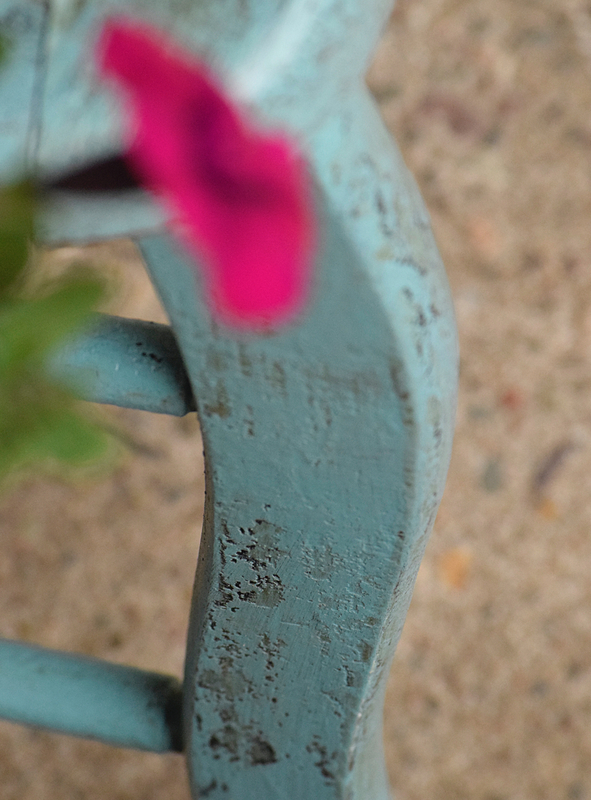 Then when looking for a pot, I didn’t want it to overwhelm the chair so I purchased a 13 inch round planter and decided to add an extra board I had laying around through the bottom rungs for the pot to sit on. 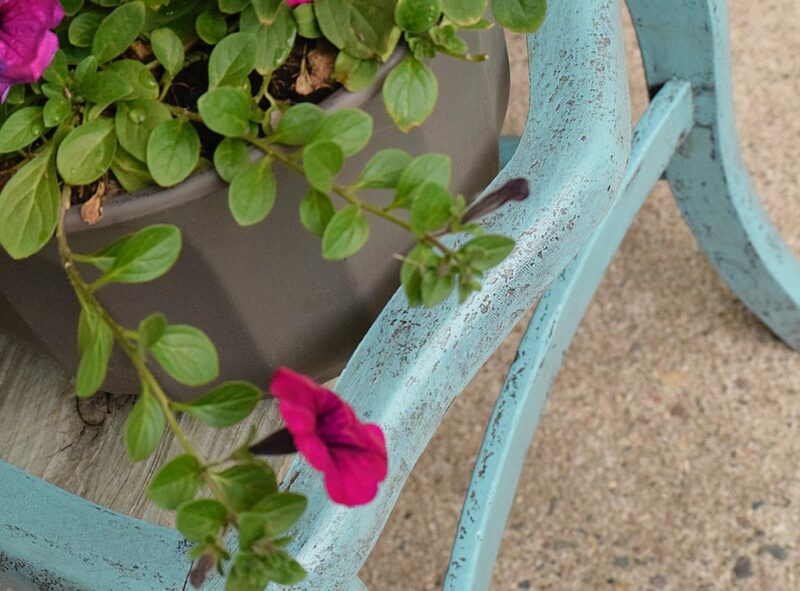 It was easy to pick out flowers because I already knew I wanted wave petunias and a sweet potato vine because they trail down the sides of a pot. 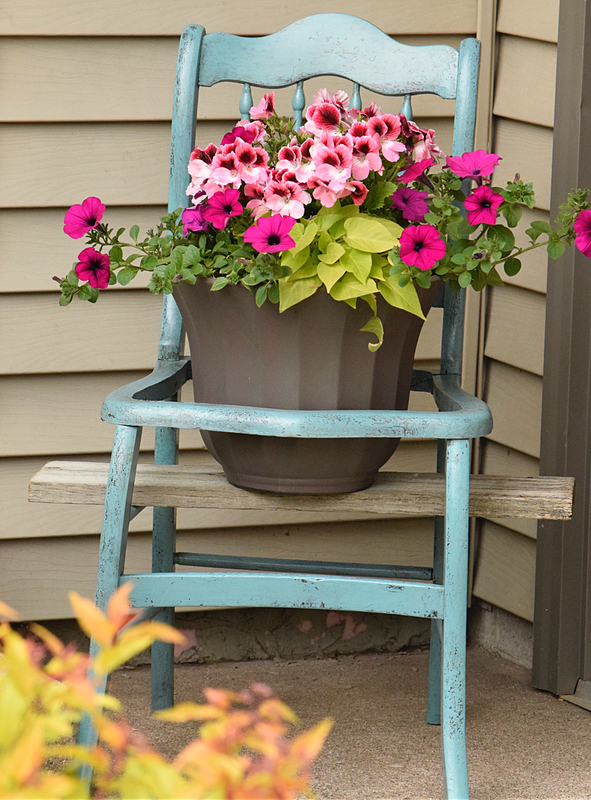 I just had to pick a taller plant to sit in the middle, which I chose a beautiful light and dark pink geranium to go along with the fuschia petunias. 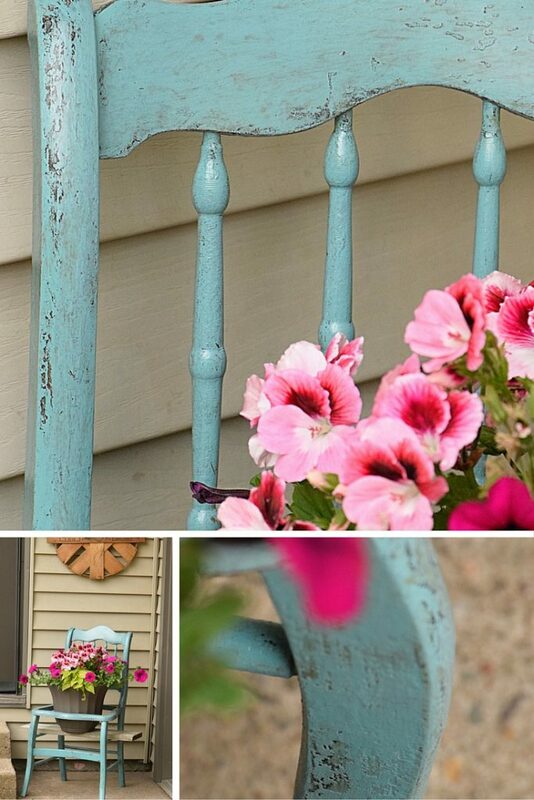 The pinks really pop against the teal chair and adds some very beautiful color to the front entrance! I can’t wait until the vines are really long and bushy and hang right down the side. It will be just beautiful. 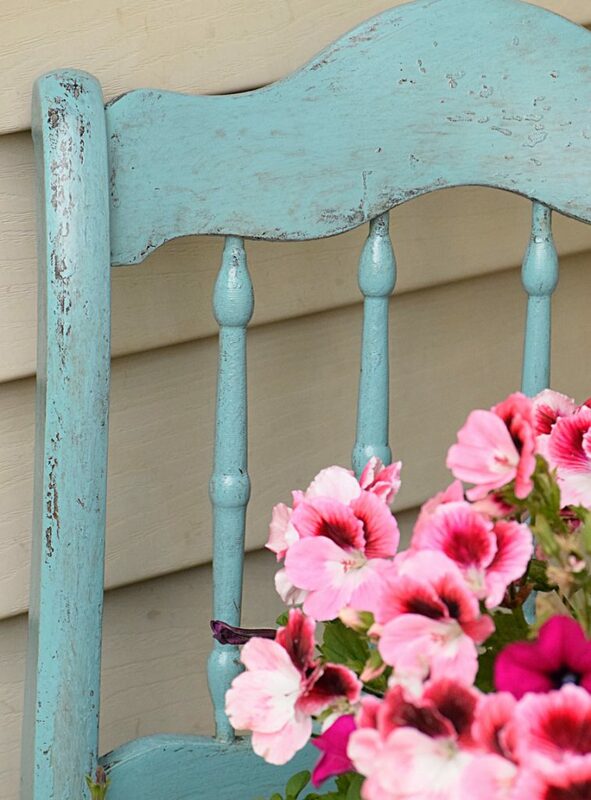 What a great chippy finish and color, I’m always on the hunt for dilapidated chairs for projects just like this, thanks for sharing at Fridays Furniture Fix! This is a fun little project, what a garage sale find. I looks really cut with the little board holding the plant up, its a bit whimsical. Nicely done. 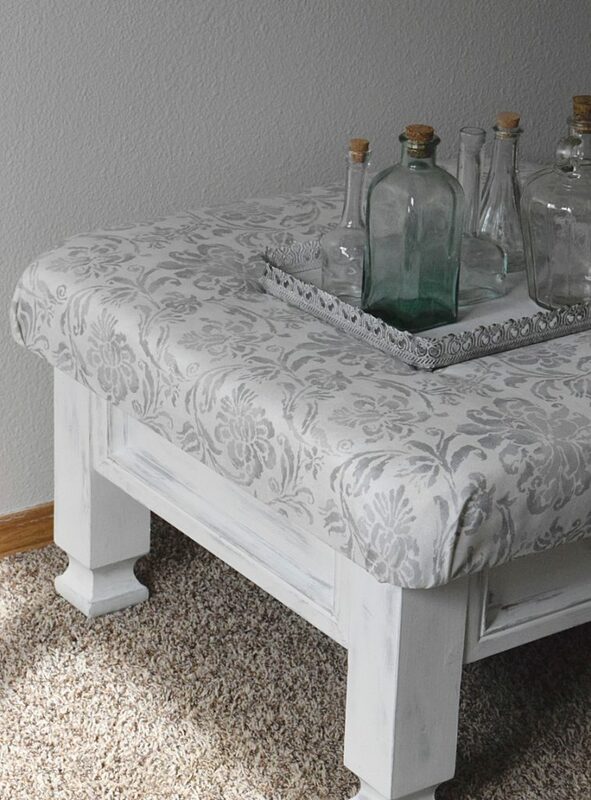 What a fun idea for a garage sale find! 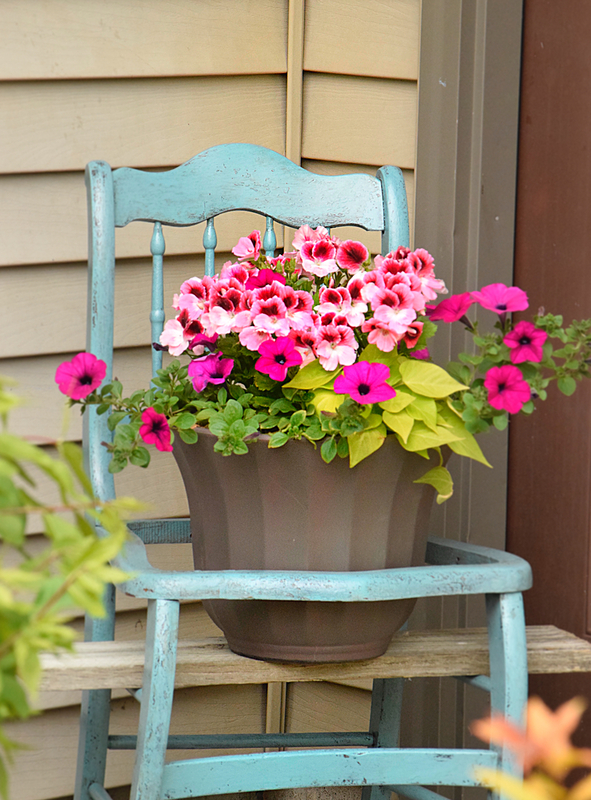 I love the color you chose, too – it’s perfect for a cheerful spring and summer garden! Thank you Emily! A well spent couple dollars I would say! 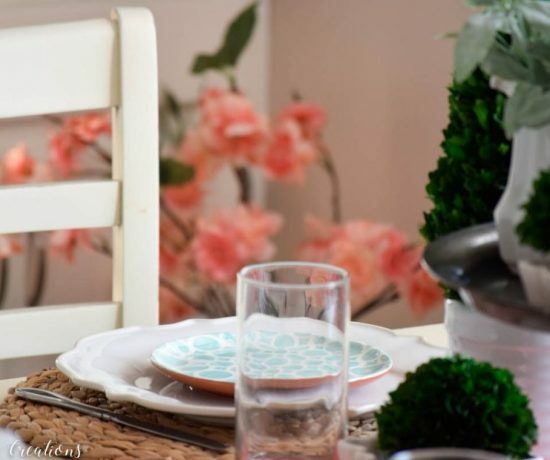 What a fun color and such a creative way to display flowers! 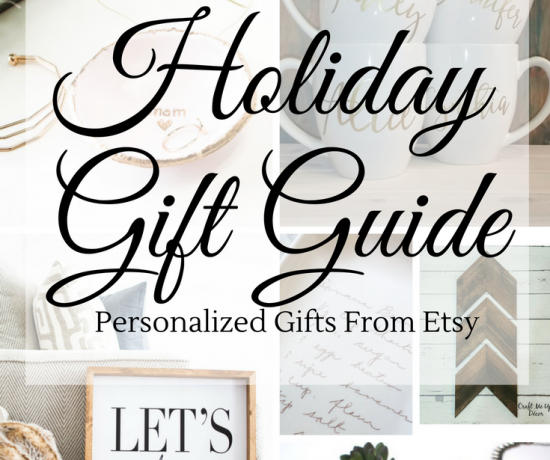 Thanks for sharing for IDIYedThat!